The image galleries show both the projects made on demand and the instruments built following my inspiration and my personal taste. Some of them are linked to the great classics, yet with special solutions, both for using the woods and the final setups, some instead are based on original designs. 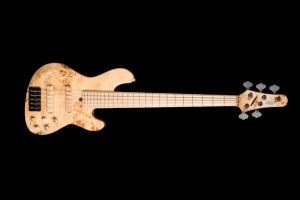 The galleries propose both new and ex-demo instruments, available for prompt delivery, and given-in instruments, reproducible on demand with any kind of change.  Anyway, I like to see these images not as a catalogue but as a series of explanatory elements that could provide a broad picture of how, at the Shank Instruments workshop, one can create something from scratch or drawing from the available production. Each piece is hand crafted using certified top-quality woods, without any semi-finished or numerical control machinery. The instruments are available for anyone wanting to try them. 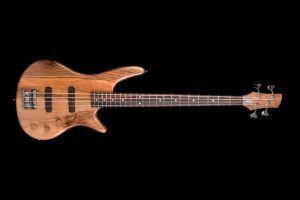 “Italian solid walnut wood for this 4 strings bass”. Available on request with any modification. “Superior flamed ash wood came out from the lab. Bass, indeed”. “Poplar burl for the top, stained blue. Ash body with wenge inlay. 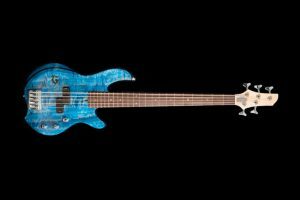 5 strings, passive”. Available on demand with any change. 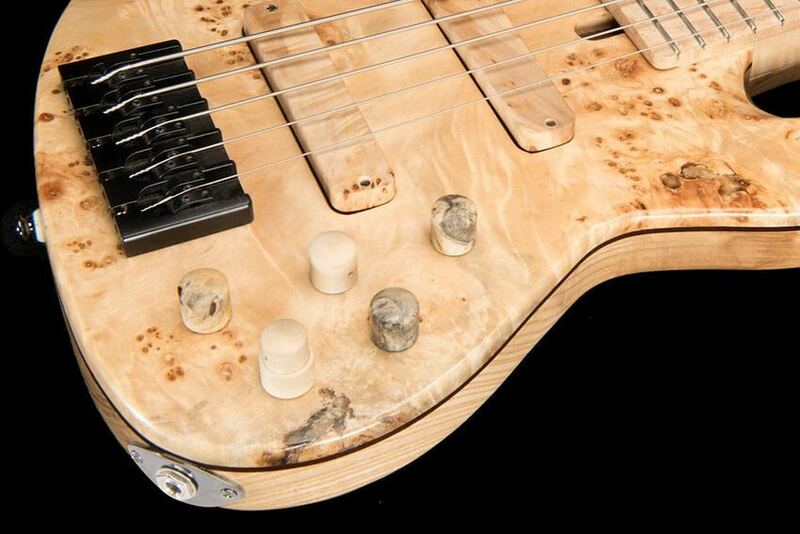 “Tasty burl poplar top and ash body for this five strings. 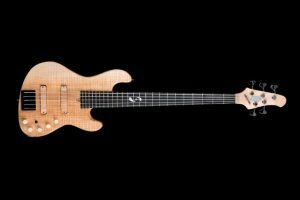 Nordstrand/Bartolini”.